WORKERS are set to gain from changes to tax bands, cuts in the USC, and other measures. Those households where a spouse cares for people in the home are the biggest winners - thanks to the increase in the home carer tax credit. 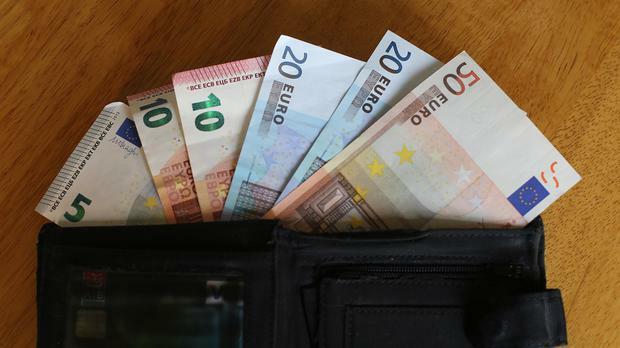 All workers will see a benefit from the rise of €750 in the income tax standard rate band. This means a single earner will stay on the 20pc income tax rate until their income hits €35,300. This is up from €34,550. The USC rate of 4.75pc will drop to 4.5pc. It applies to income between €19,372 and €70,000. Most middle-income workers will gain about €90 from this USC cut. Meanwhile, low-paid workers will be able to earn €19,874 before paying USC, which is up from €19,372. For people earning between €20,000 and €70,000, the marginal rate in 2019 goes to 48.5pc, down slightly from 48.75pc. Finance Minister Paschal Donohoe said the tax and USC changes were designed "to give a further targeted benefit to low and middle-level incomes". He argued that the tax cuts were responsible. "They do not erode our tax base and they are sustainable," he said. There will also be an increase in the home carer tax credit, from €1,200 to €1,500. The tax credit is for families with a stay-at-home spouse caring for children or an incapacitated person. The credit rises to €1,500, which means families will be able to earn an additional €300 a year that they do not have to pay tax on. One spouse can work part-time and still benefit from the home carer credit, providing their income does not exceed €7,200. Some 80,000 families get this tax credit. These changes, particularly the home carer credit increase, will mean a single-earner household on €55,000 in the private sector, where there are two children, will be €550 better off a year, according to the Department of Finance. However, a family on the same single income that has no children will only be €252 better off, from the income tax and USC changes. Robert Dowley, personal tax partner at KPMG, said this year's increase in the home carer credit is three times that of 2018. Stay-at-home parents will be €300 better off compared to 2018 with a rise in the credit from €1,200 to €1,500. With only modest USC reductions, this increase is the most significant tax saving for families in this year's Budget.